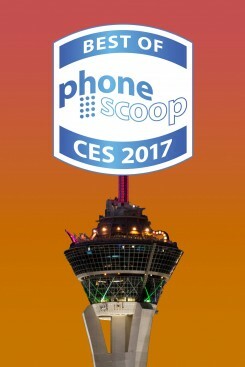 The mother of all trade shows, the Consumer Electronics Show takes over Vegas for the first week of January. Some major phones are usually announced, and we'll have hands-on reports for each one. This year, we expect big news from Huawei, LG, ZTE, and T-Mobile. Plus we'll have hands-on details of other interesting apps, services, and accessories in the world of phones. Bookmark this page and don't miss a thing! 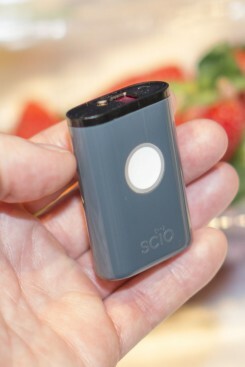 At CES, Consumer Physics is demonstrating its SCiO molecular scanner. It's a lightweight Bluetooth accessory the size of a lighter that uses near-infrared spectroscopy to determine the exact molecular makeup of items it's pointed at. The company has an active network of developers creating a variety of apps that work with the device to address different use cases. Available apps include personal nutrition tools and commercial pill verification. However some third-party developers are working on apps that could use the device to determine the purity of illicit drugs such as MDMA (Ecstasy). CES is the world's big consumer tech show. Every year we head out to Vegas to check out everything in person. This year, we're also honoring the standouts with our Best of CES awards. This year, seven products really caught our eye. Samsung has followed through on a promise it made last year and made the Gear S2, S3 and Gear Fit2 compatible with iOS. iPhone owners can download the Gear S app to use with their Samsung-branded wearable. Samsung says the exact Gear S features available to iOS phones will vary a bit by device, but all users can expect to use the GPS, speedometer, and other sensor for tracking workouts and monitor fitness. Fitness tools include distance and route traveled, pace, calories, and heart rate. The Samsung Gear S application is free to download from the iTunes App Store. New Balance partnered with Intel and Strava to create the runner-focused RunIQ. 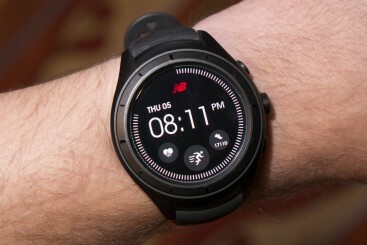 This smartwatch runs Android Wear and includes core features such as GPS and a heart rate monitor. Here are Phone Scoop's first impressions. Verizon Wireless no longer offers two-year contracts with device subsidies, and has raised the cost of activating new devices by $10. The changes, confirmed by Fierce Wireless, were put into effect January 5. Moving forward, all post-paid customers will need to pay for devices via monthly equipment installment plans. Such plans break down the cost of phones and other devices over a course of two years, separating the price of the phone from the price of the service plan. Customers aren't locked into contracts, but they are on the hook for the full price of the phone if they choose to leave Verizon before the device is paid in full. Verizon Wireless has also increased the price of activating new lines of service from $20 to $30. 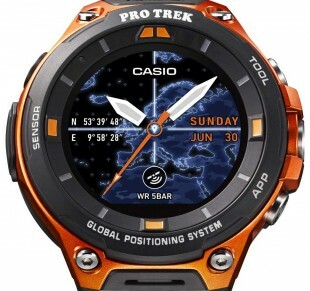 Casio trotted out its second-generation Android Wear smartwatch this week. The WSD-F20 is a major improvement over last year's model thanks to the addition of GPS and Android Wear 2.0. Here is a quick look. Bullitt Group is back with another Kodak-branded smartphone and believes it has a better combination of form, features, and functionality in the Ektra. The Ektra clearly taps into the nostalgia factor thanks to its resemblance to older cameras. Bullitt has done its homework this time around and has high hopes for this unique handset. Here are our first impressions. AT CES this week, Rohinni demonstrated its micro-LED technology, and provided a glimpse at new backlight technology it's working on for the LCD display panels used in phones. While most LED chips are around 1mm, Rohinni's micro-LEDs are many times smaller and can be placed precisely on thin, flexible plastic sheets. Rohinni is working with unnamed partners to use this technology in LCD backlights, which could reduce panel thickness, allowing thinner phones. Also, much like high-end "LED" home TVs, it would allow local dimming, which would improve contrast and lower power consumption, bringing most of the benefits of OLED technology to LCD panels. 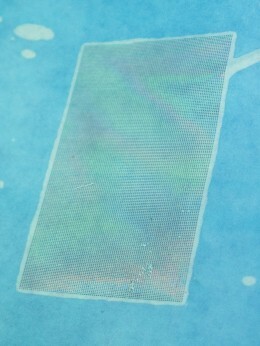 Micro-LEDs can also be printed on thin, flexible plastic sheets in any configuration. They're currently used for the thinnest laptop keyboard backlights, and have many other potential applications in mobile devices. Samsung is bringing much of its acclaimed S-series design and features to its much more affordable A-series in 2017. In the A3, A5, and A7, you'll find a premium metal-and-glass design, water resistance, fingerprint security, Samsung Pay, Super AMOLED displays, and USB-C. What are they like in person? Read on for our first impressions. 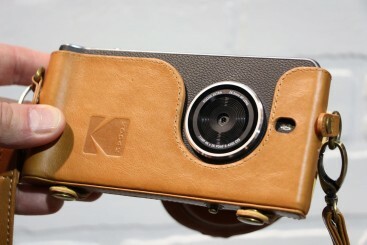 The Kodak Ektra smartphone, which was announced last October for European markets, will be sold in the U.S. starting this spring. Bullitt Group, the company that manufactures the device, says it will be available for pre-order in April at a cost of $549. The Ektra has a 21-megapixel Sony IMX230 sensor with an aperture of f/2.0 and dual LED flash. It includes optical image stabilization, phase-detection autofocus, and can capture 4K video. The front-facing camera has a 13-megapixel sensor. The phone includes a 5-inch full HD screen, MediaTek Helio X20 processor with 3 GB of RAM and 32 GB of storage, and a 3,000mAh battery. The Ektra runs Android 6.0 Marshmallow and has an advanced camera application with features such as bokeh, HDR, panorama, and manual mode. T-Mobile today announced that its plans will now include all taxes and fees in the advertised price. The company's T-Mobile One plan is included in this policy, and the price will stay the same, but now include all taxes and fees. Furthermore, the company will phase out all other plans on January 22nd. T-Mobile One — with unlimited data and taxes and fees included — will be the only plan the company offers. Consumers already on other plans (including older T-Mobile One plans that do not include taxes and fees) can keep them as-is, but no other plans will be offered to consumers looking to switch carriers or plans. Qualcomm revealed this week that it will start building AirFuel wireless charging technology into its Snapdragon series of SoCs (system-on-chips). The support will include all of the logic and primary circuitry to support both inductive and resonant wireless charging technologies. The Snapdragon 835 — announced this week — will be the first chip with AirFuel. In addition, all new 600-series chips announced in 2017 and beyond will include the technology. Manufacturers will still need to include a charging coil and some minor passive components in order for a phone to support wireless charging, but this step will make it much easier and more affordable for phone makers to include wireless charging. Alcatel today announced the A3 XL, the first in a new line of "premium affordable" mobile phones from the budget phone maker. 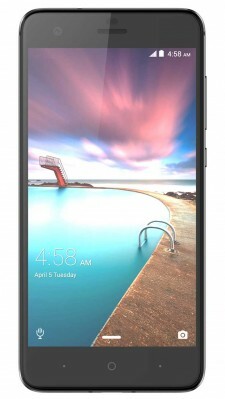 The most distinctive characteristic of the A3 XL is the 6-inch 720p HD display. Alcatel is also calling out the phone's fingerprint sensor for biometric security. The phone is powered by a MediaTek MT8735B 1.1 GHz quad-core processor with 1 GB of RAM and 8 GB of storage. It supports memory cards up to 32 GB. The A3 includes an 8-megapixel main camera with flash and HDR, and a 5-megapixel front camera. It has a 3,000mAh battery and runs Android 7 Nougat. LTE support is limited to bands 1, 3, 7, 8, 20, and 28b, meaning it isn't compatible with the 4G networks run by AT&T and T-Mobile. Alcatel says the phone will be sold overseas, though it plans to expand the A series over time. Garmin this week announced its inReach series of satellite communicators. These standalone handheld devices can also be paired with any Android, iOS or Windows 10 smartphone to provide satellite-based text messaging and GPS mapping on your phone even where there is no cellular coverage. The devices use Iridium's global satellite network for messaging, letting the devices send and receive text messages with any cell phone number, email address or another inReach device. Users can set up the devices to provide regular location updates to a mapping portal, so friends and family can follow the progress of an expedition. An SOS function can let first responders and family know when you're in trouble and exactly where to find you. 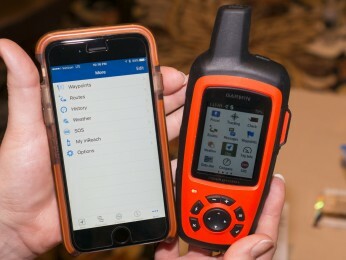 The base model inReach SE+ will sell for $400, while the inReach Explorer+ adds TOPO maps, compass, barometric altimeter and accelerometer for an extra $50. Both models will be available later this quarter. 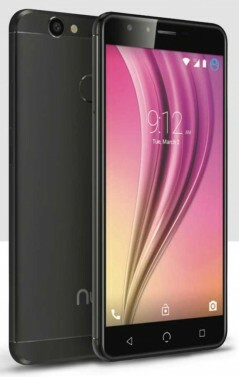 Nuu Mobile this week announced the X5 smartphone during the Consumer Electronics Show in Las Vegas. The X5 is a flagship-class Android smartphone for those seeking alternatives to traditional postpaid carriers. The device offers a lot of value thanks in part to Nuu's unique mobile service plans. The X5 is a large slab that features a 5.5-inch full HD display. The phone is powered by a MediaTek MT6750T 1.5 GHz octa-core processor with 3 GB of RAM, 32 GB of storage, and support for memory cards up to 128 GB. Nuu selected Sony camera chips for the device, with a 13-megapixel BSI sensor on back and a 5-megapixel wide-angle sensor on front. The X5 supports U.S. LTE bands 2, 4, 7, 12, and 17 for compatibility with AT&T and T-Mobile. It also packs Bluetooth 4, GPS, NFC, WiFi, and an FM radio. Last, the phone contains a 2,950mAh battery, and it runs Android 7 Nougat out of the box. Nuu Mobile gave the X5 support for two SIM cards in a removable tray, but the handset also includes Nuu's Konnect i1 eSIM technology. The eSIM allows the X5 to roam in other countries at local wireless rates. Introductory pricing for roaming is approximately $2 per day for 500 MB of high-speed data overseas. People who exceed the daily data limit will be throttled, but will have full access to 500 MB again the following day. The eSIM means users don't have to hunt down a local SIM card when traveling; instead, they can simply activate the Konnect i1 service directly on the X5. The Nuu Mobile X5 goes on sale in March. Pricing wasn't announced, but all of Nuu Mobile's handsets cost less than $250. Huawei today said it will begin selling the Mate 9 flagship smartphone in the U.S. starting January 6. 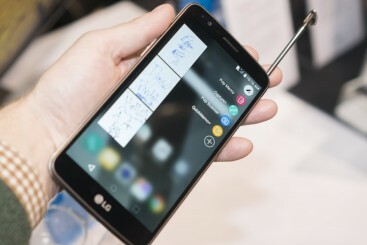 The device will be available online, unlocked with support for U.S. GSM/LTE networks. It costs $599. Moreover, the device will gain support for Amazon's Alexa voice assistant in a future software update. Huawei didn't say when Mate 9 owners can expect to begin saying, "Alexa," for requests. Google today said it is expanding the availability of its Google Assistant to Android TV products. People who own supported TVs and set-top boxes will be able to ask Google Assistant myriad questions about content and other queries. For example, Google Assistant can play movies and TV shows, control smart home products, and help with personal data, such as calendars and events. Google says the Assistant on Android TV will come to the Nvidia Shield, and all Android TVs in the U.S. running Android 6.0 Marshmallow or Android 7.0 Nougat. Some examples include Sharp Aquos, Sony Bravia, and Xiaomi Mi Box. Google expects to see Google Assistant reach Android Wear smartwatches, in-car systems, and other devices over the next few months. Last, Google says Assistant is gaining new skills thanks to Actions On Google. For example, Google Assistant will soon be able to answer select questions about Daimler and Hyundai cars. Google Assistant is built into the Google Home product as well as the Pixel and Pixel XL smartphones. Coolpad debuted the Conjr, a budget Android smartphone, at CES this week. The handset includes a 5-inch screen, MediaTek processor, 13-megapixel camera, and Android 6 Marshmallow. Here are our first impressions. 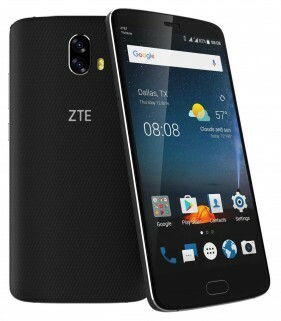 The V8 Pro is ZTE's latest attempt to bring U.S. consumers more bang for their buck. This model is the first Blade-series phone to come to U.S. shores. It's one step below the Axon 7, with more mid-range features and a price to match. But with fingerprint reader, NFC, dual-camera, and 3 GB of RAM, it's no slouch, either. Read on for our hands-on impressions. Cricket Wireless customers shouldn't expect to see an improvement in data speeds any time soon, despite the incredible gains in LTE performance made by Cricket parent AT&T. Cricket caps all customers' data speeds at 8 Mbps, even though its phones and the network support speeds up to 10 times faster. AT&T is already deploying 3-channel carrier aggregation and plans to upgrade to 4-channel carrier aggregation soon, delivering LTE Advanced speeds as quick as 1 Gbps. Those speeds will be reserved for AT&T's own customers. Cricket CEO John Dwyer told Phonescoop that its customers are more interested in value than performance, and most are satisfied with the experience delivered by 8 Mbps. For example, AT&T's new DirecTV Now application requires much less than 8 Mbps, despite its video-heavy nature, and can easily run across Cricket's network. In a related note, Dwyer said that the company may eventually offer a zero-rated data program, but hasn't made any firm commitments. For example, AT&T customers can stream DirecTV Now over LTE without impacting monthly data buckets. Cricket customers cannot, and will chew through data when using DirecTV Now over the cellular network. Cricket has made good progress in expanding its point-of-sale footprint. The company now claims to have more than 14,000 retail locations, of which 4,300 are branded Cricket Stores. Last, Cricket plans to make use of social media to spread its branding message. LG's 2017 flagship handset will move away from the modular design the company debuted with last year's G5 and will instead focus on aesthetics and usability, reports the Wall Street Journal. 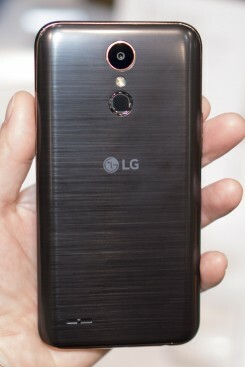 The G5 featured a removable bottom piece that could be replaced with snap-in modules. The phone was largely considered a flop. Consumer feedback made clear that most people aren't interested in modular phones and won't pay extra for the modules. LG will announce the G6 "in the very near future," according to Chief Technologist Skott Ahn. 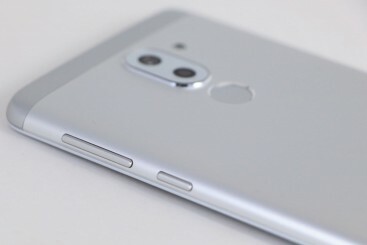 The company may reveal the phone at the Mobile World Congress trade show in February, but is still considering several other dates. LG plans to initially sell the G6 in North America, Europe, and South Korea. The price is expected to fall between $500 and $600. ZTE's forthcoming Android 7.0 update for its Axon 7 phone will add compatibility with Google's Daydream VR solution. The Axon 7's QHD display is well-suited to VR. ZTE today said it plans to offer its Blade series phones to U.S. consumers for the first time starting with the Blade V8. This large Android handset includes a 5.5-inch full HD display with curved edges and Gorilla Glass 3. The V8 is powered by a Snapdragon 625 processor with 3 GB of RAM and 32 GB of storage. It supports memory cards up to 128 GB or a second SIM card. 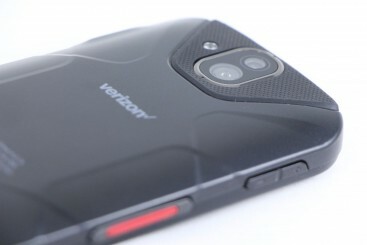 The V8 has twin 13-megapixel cameras on the back, which is a feature normally found on pricier handsets. ZTE says the second camera helps with features such as bokeh (background blur). The front camera has an 8-megapixel sensor. ZTE says the 3,140mAh battery delivers all-day power, but it supports Quick Charge 2.0 for rapid power-ups when needed. Last, the Blade V8 includes a front-mounted fingerprint reader. 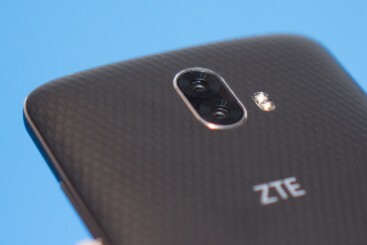 ZTE is selling the Blade V8 unlocked via Amazon, Newegg, and Best Buy for $230. It's available for preorder starting today. ZTE's crowd-sourced Hawkeye Android smartphone is now available for preorder via Kickstarter. ZTE picked the Hawkeye name for its Project CSX device from more than 500 submissions after spending the last year fielding and voting for thousands of ideas submitted by people around the globe. The winning design, a self-adhesive smartphone that can track eye movement, is expected to ship during the third quarter of 2017. Initial backers can snag the handset for $200. 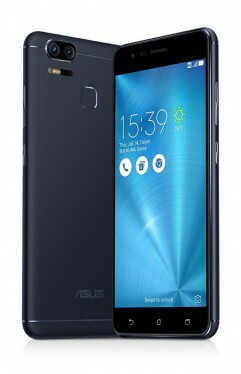 Asus today announced the ZenFone 3 Zoom, a new "optical zoom" phone that uses two cameras, much like the iPhone 7 Plus. Both the standard and 2.3x zoom cameras are 12-megapixel. It can also do a portrait mode with depth effect, and the main lens has f/1.7 aperture. Other camera features include OIS, laser focusing, RAW support, and a dedicated color sensor for improved white balance. It includes an extra-large 5,000 mAh battery that can be used to charge other devices via the USB-C connector. Specs include a Qualcomm Snapdragon 625 processor, 5.5-in full-HD display, fingerprint sensor, memory card slot, and 3.5mm audio jack. Its US version will include LTE band 17 to support AT&T's network. 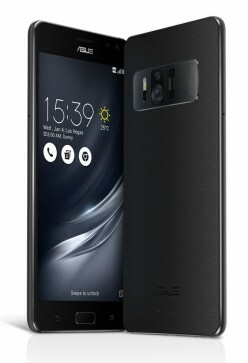 Asus today announced the ZenFone AR, the first phone to support both Project Tango AR and Daydream VR from Google. This large phone sports a 5.7-inch WQHD AMOLED display, Qualcomm Snapdragon 821 processor, an unprecedented 8 GB of RAM, and an advanced vapor cooling system. Triple cameras on the back support Tango applications with a 23-megapixel main camera, depth camera, and motion tracking camera. Other features include NFC, memory card slot, USB-C port, 3.5mm audio jack, and Cat 12 LTE. The 3,300 mAh battery supports Quick Charge 3.0. It will also run Android 7.0 Nougat and be available in Q2. 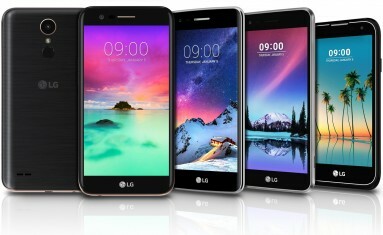 The company did not announce which LTE bands the phone will support. The Qualcomm chip is a departure for Asus, which was previously one of the few major manufacturers to use Intel chips. Casio today announced the WSD-F20, a second-generation smartwatch that is among the first to include Android Wear 2.0 from Google. Like last year's WSD-F10, the F20 is a fully ruggedized wearable that focuses on fitness and other outdoor activities. It meets mil-spec 810G for protection against abuse and is water resistant to 50 meters. The watch includes a dual-display mode that can flip to monochrome to help conserve battery. The biggest improvement over the original is the addition of GPS. Moreover, the WSD-F20 includes a low-power GPS mode that can track the wearer's location on downloadable maps even if the watch is offline. This extends the wearable's ability to track fitness activity in areas where phone coverage is not available. The Android Wear 2.0 platform from Google is a fully redesigned operating system that includes a new user interface, on-device app store, and support for Google Assistant. The WSD-F20 will ship later this year. Pricing is expected to be about $500. Intel today announced next-generation modem for mobile devices, aptly named the Intel 5G Modem. Intel says the idea behind the 5G Modem is to help push the development of 5G ahead. The modem relies on key 3GPP 5G NR (new radio) technology, such as massive MIMO, low-latency, and advanced channel coding. It also includes both sub-6 GHz and mmWave capabilities. Intel hopes the modem will support early 5G field trials and at the same time drive the 3GPP NR specification forward. Intel is working with AT&T and other companies to test and define what might eventually be 5G. 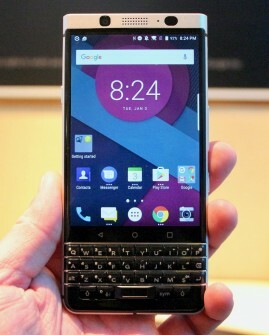 TCL today showed off a unique BlackBerry smartphone that includes both a physical QWERTY keyboard and a touch screen. This large slab is meant to help reinvigorate sales of BlackBerry smartphones to businesses. Here is a quick look at the latest from TCL. TCL today offered a sneak peak of a new BlackBerry smartphone in a short video. TCL is the parent company behind Alcatel and recently struck an agreement to design and manufacture smartphone hardware for BlackBerry. Though TCL builds the devices, BlackBerry is providing its secure, Android-based platform. The agreement between the two companies builds on work the to did together last year. For example, TCL repurposed the Alcatel Idol 4 into the BlackBerry DTEK50. This new phone, which has no name, nor any stated specs, it a slab-style device with both a touch screen and physical QWERTY keyboard. TCL didn't share any real details about the phone, but it has an aluminum chassis, dual cameras, a fingerprint reader, USB-C, and a non-removable battery. TCL said it will fully announce the device at Mobile World Congress in February. TCL, the parent corporation of Alcatel, unveiled its new handset strategy moving forward. 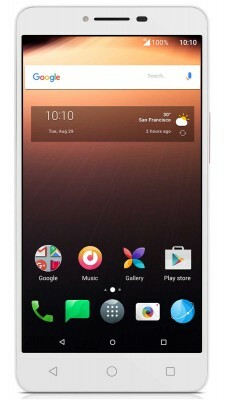 The company will continue to build its Alcatel-branded smartphones that target the low/value end of the market. These devices will run Android and will generally be sold via carriers and the open market. The company will also work closely with BlackBerry to design BlackBerry-branded handsets for North America and other markets. TCL will make the hardware, but it will rely on BlackBerry's hardened version of Android with government-grade security and business software on board. TCL sees its new partnership with BlackBerry as a way to get its phones into the high-end and enterprise segments of the market. BlackBerry and TCL hope to regain the trust of corporations that have in recent years turned to Apple and Samsung for employee devices. 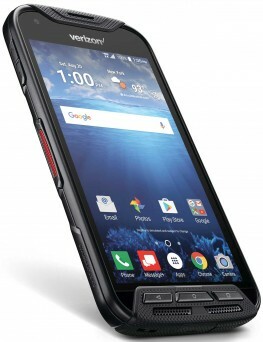 TCL plans to work with BlackBerry's sales team to sell BlackBerry-branded handsets directly to businesses, but it also intends to forge new carrier deals to reach consumers via carrier stores over time. TCL's Steve Cistulli says the BlackBerry DTEK50 and DTEK60, which are rebranded variants of the Alcatel Idol 4 and 4S, are performing well and have helped level off the decline of BlackBerry sales in North America. TCL believes it can reverse that decline over time with a range of unique BlackBerry handsets. 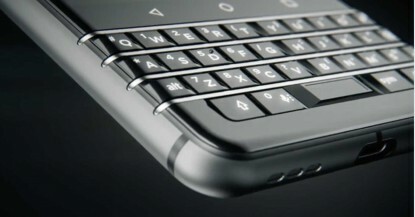 The company also revealed its first entirely new BlackBerry smartphone that is scheduled to debut later this year. The phone is a slab with a physical QWERTY keyboard and touch screen. TCL did not announce the phone's name, nor its specs. BlackBerry said it will continue to support BBOS 10, and pointed out that it recently released BBOS 10.3.3 for older phones such as the BlackBerry Classic. AT&T today laid out more of it is roadmap for 5G and brazenly said it is moving forward despite the lack of standardization for 5G. "We're not waiting until the final standards are set to lay the foundation for our evolution to 5G," said John Donovan, chief strategy officer and group president, Technology and Operations. "We're executing now." AT&T says its data network has seen a 250,000% increase in traffic since 2007, largely driven by video. It feels it needs to move on 5G now in order to accommodate the growing demand for data. The International Telecommunication Union isn't expected to formally ratify 5G until 2020, though some of the broad definitions of 5G have already been defined, such as 1 Gbps speeds and latency under 5 milliseconds. AT&T claims its lab trials have already delivered peak speeds of 14 Gbps with latency as low as 3 milliseconds. It says some portions of its LTE 4G network will offer 1 Gbps (theoretical max) speeds later this year thanks to small cells, densification, and 3- and 4-channel carrier aggregation. AT&T's DirecTV Now customers in Austin, Texas, will be the first to trial AT&T's 5G network technology during the first half of the year. The trial will involve fixed wireless 5G using mmWave in a handful of locations with a handful of devices in the Austin area. The tests may begin as soon as March. The company has been testing this same technology with Intel and Ericsson in Austin since last fall and says it saw consistent 1 Gbps speeds. AT&T plans more 5G trials this year in the 28 GHz and 39 GHz bands using the framework developed so far by the 3GPP. Huawei's latest for the unlocked crowd is the Honor 6X. This slim metal-and-glass smartphone has an attractive design and decent set of specs for a phone that costs as little as $200 if you're smart about buying it. Here are our first impressions. T-Mobile today unveiled new pricing for Internet-of-Things connected devices, such as smart meters. The T-Mobile IoT Access pack includes 5 MB of data per month for $20 per year for the first year, and $6 per year after that. Moreover, customers can get unlimited data for their IoT equipment at 64Kbps for $25 per device per year. To help people get started, T-Mobile will cover the cost of a Sequans CAT1 module (up to $16 per module) via bill credits. The new pricing is effective immediately. T-Mobile expects its business customers, such as utilities more so than consumers, will take advantage of the IoT pricing, though it is available to anyone with a connected home. Qualcomm today said its latest Bluetooth audio system-on-a-chip is able to provide active noise cancellation for wireless headphones. The CSR8765 makes it possible for Bluetooth headphone designers to drop separate, dedicated active noise cancellation chips from their headsets and instead add the feature via the Bluetooth radio itself. Qualcomm believes this will let headphone makers create smaller, more powerful headphones that can be used with mobile devices such as smartphones. Moreover, the CSR8675 includes embedded 120 Mhz 24-bit DSP as well as Qualcomm's aptX and aptX HD audio technologies for high-quality Bluetooth audio. Qualcomm says the module can deliver up to 12 hours of active noise cancellation at reduction rates of -23 dB. Qualcomm today announced the Snapdragon 835, its premiere processor for 2017. Qualcomm says the chip is smaller, faster, and more efficient than any previous processor from the company. The system-on-a-chip relies on the company's 10nm process, which allows the chip to be 30% smaller than the Snapdragon 820 and use 40% less power. Qualcomm says this helps the 835 perform, on average, 27% better than the Snapdragon 820 in terms of efficiency. The processor is paired with the Qualcomm Kryo 280 CPU, Qualcomm Adreno 540 GPU, Qualcomm Hexagon DSP, Qualcomm Spectra 180 ISP, and the Snapdragon X16 LTE modem. Some of the capabilities include virtual reality, augmented reality, lower thermals, and Quick Charge 4.0. Qualcomm says the chip can deliver more than a day of talk time, more than 5 days of music playback, and more than 7 hours of 4K video streaming. Quick Charge 4.0 can provide up to 5 hours of battery life in just 5 minutes of charging. The chip can handle EIS for 4K video capture. The Snapdragon X16 LTE modem and customized support for 802.11ad Wi-Fi include 4x4 MIMO, 256-QAM digital signal processing, and up to 4X carrier aggregation for optimized speeds. Qualcomm says its new Qualcomm Haven Security Platform provides three layers of security on the SoC itself, device, and operating system, including biometrics, such as fingerprint readers and iris scanners. The Snapdragon 835 supports Qualcomm’s machine learning platform for object recognition and real-time hand tracking via the camera for better VR/AR. Lastly, the chip can run an always-on, low-power virtual assistant. Qualcomm expects to see the Snapdragon 835 in devices during the first half of 2017. Huawei today announced the Honor 6X, a follow up to the 5X that improves upon specs and design. The 6X boasts a 2.5D curved glass front and aluminum rear panel to give it a metal-and-glass chassis. The phone includes a fingerprint reader for biometric security. The display measures 5.5 inches and delivers full HD resolution. The Honor 6X relies on Huawei's own Kirin 655 processor, which uses an octa-core design with 4 high-power 2.1 GHz cores and 4 low-power 1.7 GHz cores. The processor is accompanied by 3 GB of RAM and 32 GB of storage, and the phone supports memory cards. The main camera includes a 12-megapixel sensor and secondary 2-megapixel sensor with a pro mode, bokeh, night shooting, special filters, and a wide aperture range from f/0.95 to f/16. The phone has an 8-megpaixel front-facing camera. Some of the camera tools include time-lapse, audio control, beauty/makeup mode, and food mode. The 3,340mAh battery supports up to two days of battery life. 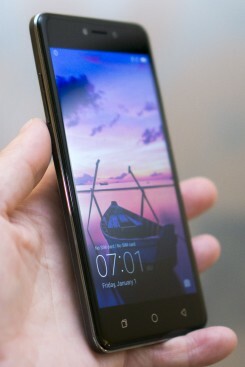 Huawei said the Honor will be made available Jan. 4 unlocked, and will be sold online. It supports US LTE bands 2, 4, 5, 12, 20, and 38. The Honor 6X costs $250, but Huawei plans to sell it for $200 during "flash sales" on Jan. 10, 17, 24, and 31. Samsung today announced the Galaxy A7, A5, and A3, three new handsets that fill in the middle of Samsung's lineup of Android phones. All three phones feature metal frames, glass front and back panels, IP68 protection against water and dust, dedicated camera buttons, and support for Samsung Pay. Each phone ships with Android 6 Marshmallow and supports memory cards up to 256 GB. 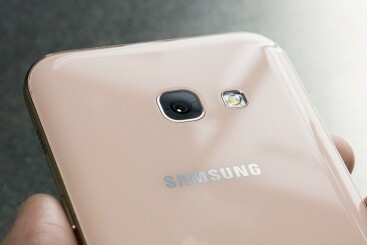 A7: The largest of the new Galaxy A series (pictured), the A7 has a 5.7-inch full HD display with a 1.9 GHz octa-core processor, 3 GB of RAM, and 32 GB of storage. 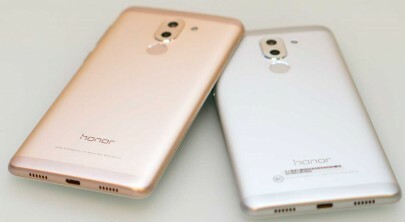 It boasts front and rear 16-megapixel cameras, both of which have an aperture of f/1.9 for better low-light performance. The A7 includes a 3,600mAh battery with rapid charging. A5: The A5 lands in the middle of the Galaxy A series with a 5.2-inch full HD display, 1.9 GHz octa-core processor, 3 GB of RAM, and 32 GB of storage. It includes front and rear 16-megapixel cameras. The A5 packs a 3,000mAh battery with rapid charging. A3: The A3 is the smallest of the three Galaxy A handsets with a 4.7-inch 720p HD display, and a 1.6 GHz octa-core processor, 2 GB of RAM, and 16 GB of storage. 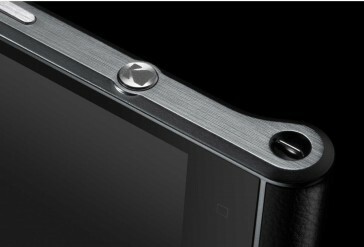 It includes a 13-megapixel main camera and an 8-megapixel front camera, both at f/1.9. The A3 includes a 2,350mAh battery with rapid charging. Samsung said the Galaxy A series will ship in Russia later this month with other markets to follow later.